Sharon Tighe is the Group Head of Online Strategy and Insights, and the perfect person to lead the development charge on the update of the Easy Food website. Not content with outselling all other food magazines in Ireland, the Easy Food team completed extensive work on their digital strategy this year. The aim of the project was to bring online the strong trust and reputation that they have built through Ireland’s No.1 Food Magazine and become the go-to website for recipes and food-related content in Ireland. The growth of all online channels to date is staggering and Easy Food is already bringing top food brands with them. strong social engagement figures- delivering a thumb-stopping mix of quality content. a rapidly growing list of a 3,000+ email subscribers– hungry for recipes, tips & product suggestions. 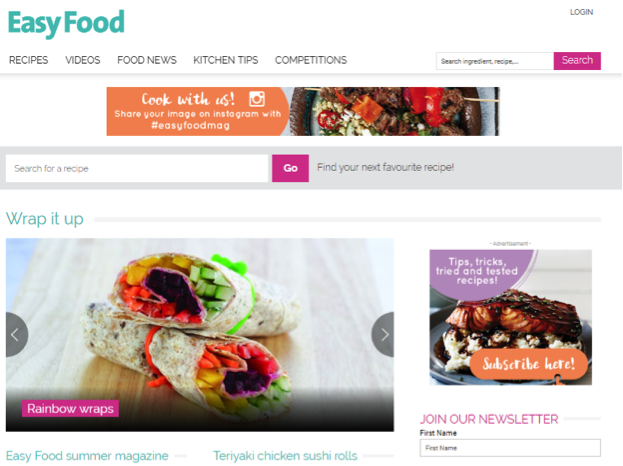 a distinctive fresh new website which brings the recipes & magazine features to life and to an even greater audience. The newly designed site went live at the end of May with an emphasis on delivering the content that the user is searching for at the right time, with an attractive design that leads them to other relevant, engaging content. The new site will allow for greater flexibility for digital ads, and the ability for brands to roadblock recipes and articles or indeed whole sections of the site relevant to their products or services, eg) Baking, Dinner, etc. Competition forms have been added to the site so users can now enter to win exciting food prizes and client hampers through the website, extending the viewership of these promotions across print, social media and email. There is a dedicated page showcasing videos created in the Easy Food Test Kitchen and Media Lab for in-house use and clients, as well as two well-positioned video places on the home page. The page performance index of Easy Food’s Facebook page has increased to 68% in the last 5 months and is a measure of both the engagement value and the growth of the fan page. Easy Food’s current figures are out-performing pages with much larger fan bases, as our community base is actively and regularly seeing and engaging with Easy Food posts. What this mean for brands is higher engagement and reach for their social media posts. 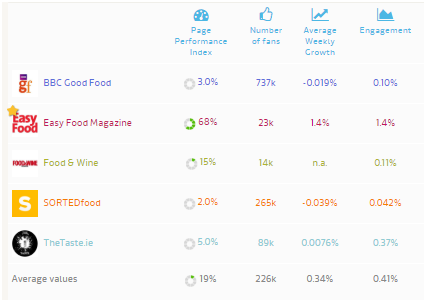 One of the top performing posts in April on Easy Food was for baking brand Dr Oetker, with a reach of 72, 916 people. Brands should also note that the Easy Food Facebook audience is also 7 times more likely to share a post than the average Facebook user. 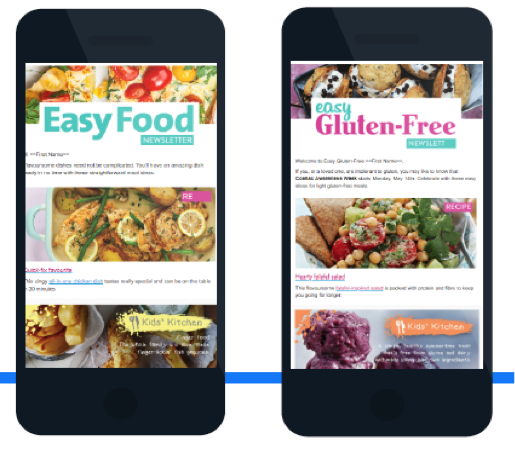 In email performance, Easy Food mail their subscribers four times per month and have grown the size of their permission base by 27% since January (and all GDPR compliant). The emails share recipes, tips, event & food news, as well as competitions and video content. There is also an Easy Gluten-Free email which is delivered to a targeted base that has requested this type of content. 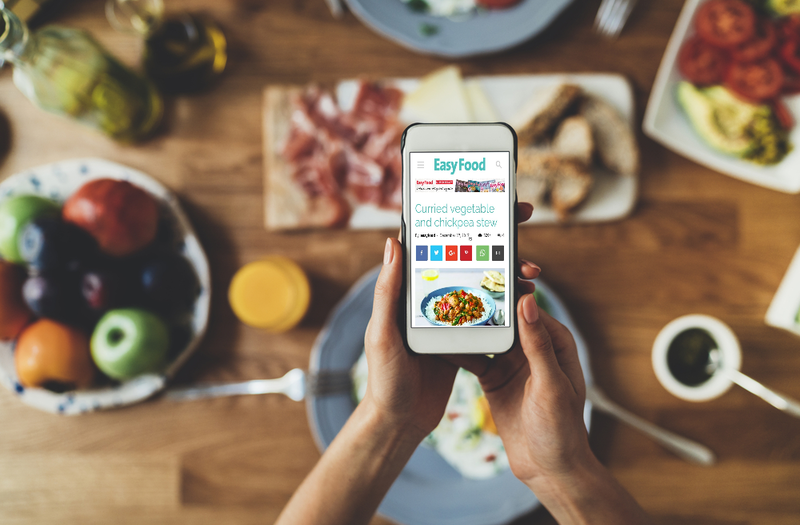 Check out the website for yourself now at www.easyfood.ie now and for more ideas and advice on how your food brand can be best placed in front of your target audience, get in touch with Sarah Currey at scurrey@zahramediagroup.com or Denise Callan at denise@zahramediagroup.com .